The Benefits of Dual Flush Toilets | Weilhammer Plumbing Co. Inc.
← How Do I Know if I Have a Hard Water Problem? Many homeowners are opting for a new money-saving plumbing technology called duel-flush toilets. Although they have been around for several years, the innovative advancements are now more energy efficient than ever before. Continue reading to learn more about duel flush toilets and why they have become so popular today. A dual flush toilet is simply a toilet that is a variation of the standard toilet that uses two buttons or handles to flush different levels of water. Some studies have shown that these toilet systems can save up to 65% water compared to a traditional toilet system. This is one of the major reasons why dual flush toilets are a top choice for both residential and commercial properties. In fact, some cities have ordinances in place that mandate all new construction buildings be built with dual flush toilet systems. To understand just how much water a dual flush toilet can save, you must consider the average amount of water per flush. A standard toilet uses an average of 7 gallons of water per flush. Depending on the make and model chosen, a dual flush system can use as little as 1.7 gallons of water per flush. With these numbers in mind, think about how many times a day each member of your household flushes the toilet. This can give you an idea of how much water you can save on an annual basis. In terms of cost-savings, there is not a huge benefit. However, the environmental impact is incredible. Because the market of dual flush toilets is continuously growing, there are several make and models to choose from. More and more manufacturers are designing toilets with better features, such as comfort and efficiency. 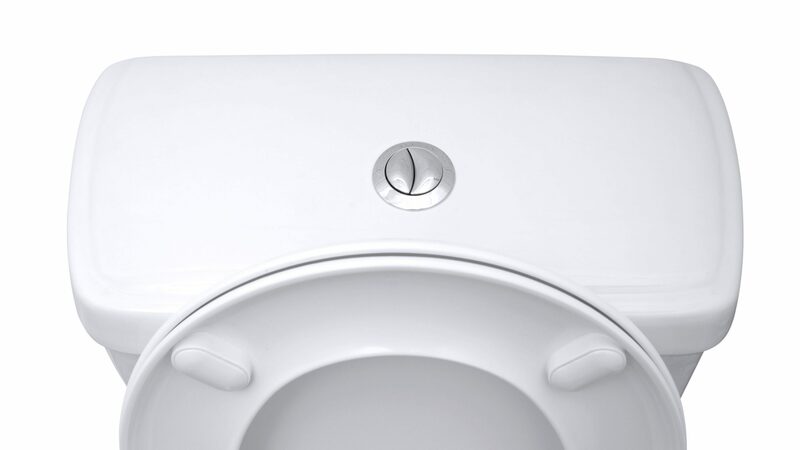 When choosing a dual flush system, it is recommended to buy a two button model. This helps conserve more water since the risk of using the wrong flush is lower. Also, be sure to hire a licensed Indianapolis plumber for dual flush toilet installation. The plumbing for these system are a bit more complex than standard toilets, so the installation process requires more knowledge, skill, and training. You do not want to risk installing a dual flush toilet yourself. This can also void the warranty in some cases. Call Weilhammer Plumbing Company at 317-784-1870 for all your Indianapolis toilet installation needs. 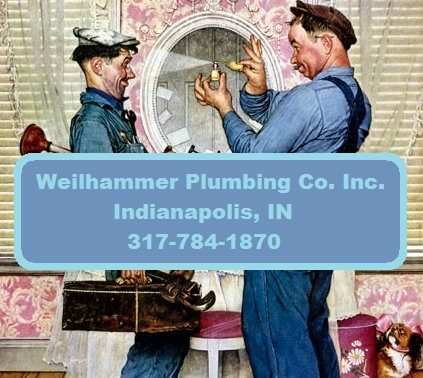 Owner Mark Weilhammer provides residential and commercial plumbing service, as well as, master plumber services. He is a state-licensed master plumber who can deliver safe and effective plumbing repair at an affordable price. Call 317-784-1870 to request a free estimate, today. This entry was posted in Toilet Repair and tagged dual flush toilet installation, dual flush toilets, Indianapolis plumbing repair, Indianapolis Toilet Installation. Bookmark the permalink.